FOTD - we certainly agree with this! Scotty's own Benji is a typical example. He looks like a cross of perhaps a Maltese, or some type of Poodle, combined with a Terrier, however, when Scotty had his DNA tested, the results were astonishing - his is a cross between a St. Bernard and a Tibetian Terrier! Scotty says, that she now knows where such strength in a small dog comes from! “What breed is he? is often the first question people ask about a dog, but the answer is often terribly inaccurate,” said the author of a new genetic study of shelter dogs. 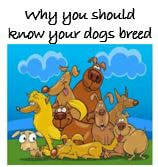 In animal shelters, dogs usually get assigned a breed or mix of breeds based on the way they look. But a new study, published August 23, 2018 in the peer-reviewed journal PLOS ONE, used genetic testing to determine what breeds these shelter dogs actually are. Scientists from the Arizona State University (ASU) Department of Psychology genotyped 900 shelter dogs from two shelters in Arizona and California, and compared the genetic information to the breed labels the shelters had assigned to the dogs. The genetic testing gave the researchers information about three generations of ancestors for each dog. On average, most dogs were comprised of three different breeds, with some dogs having up to five breed signatures identified at the great-grandparent level. When the researchers looked at how the primary or secondary breed assigned by the shelters matched the information from the dogs’ actual genetic profile, they found the shelter staff accuracy was 67 percent. The accuracy fell to 10 percent when staff identified more than one breed. Breed identification has quite an outsize role in people’s perceptions of dogs. What breed is he? 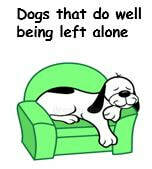 is often the first question people ask about a dog, but the answer is often terribly inaccurate. The level of genetic diversity in the shelter dogs exceeded our expectations: We found 125 distinct breeds. We also found that just 5 percent of the shelter dogs were purebred, even though it is commonly assumed that up to a quarter of dogs in shelters are purebred. For the study, the researchers collected DNA from over 900 shelter dogs housed at the Arizona Animal Welfare League and Society for the Prevention of Cruelty to Animals (AAWL) in Phoenix and the San Diego Humane Society and Society for the Prevention of Cruelty to Animals (SDHS) in San Diego. For the genetic testing, the researchers used the Wisdom Panel Canine DNA Test from Mars Veterinary, which is a commercially available product. A small brush was used to collect cells from the dogs’ cheeks and gums, and the samples were sent to a lab for processing. At the lab, DNA was extracted from the dogs’ cells and compared to over 300 sites in the canine genome that have been matched to specific breeds. Though breed labels are common in animal shelters, they can have unintended consequences, said the researchers. In a previous study also published in PLOS ONE, the researchers found that dogs labeled as pit bulls waited over three times as long to be adopted. The same proved to be true in this study. The researchers found that the San Diego shelter dogs labeled as having pit bull-type ancestry also waited more than three times as long for adoption. The behavioral diversity even within single breeds has led the study authors to advocate for the importance of behavioral assessments instead of breed labels. What really matters is a dog’s behavior and how it might fit into an adoptive family, Gunter said. Shelter dogs are interesting and complex genetically. They really are individuals, and labeling them with a single breed can minimize their uniqueness. Bottom line: A new study used genetic testing to determine what the breeds of shelter dogs actually are, and compared the genetic information to the breed labels the shelters had assigned to the dogs. If you work all day but choose to share your life with a dog, you need to choose the breed carefully and be willing to make some sacrifices. Picking up signs of arthritis in your dog as early as possible will help your dog to have a much better quality of life. We often don't see the early signs, so here are some tips to help you identify. Knowing your dogs breed make up is a lot more important than many people think. Read here to find out why.